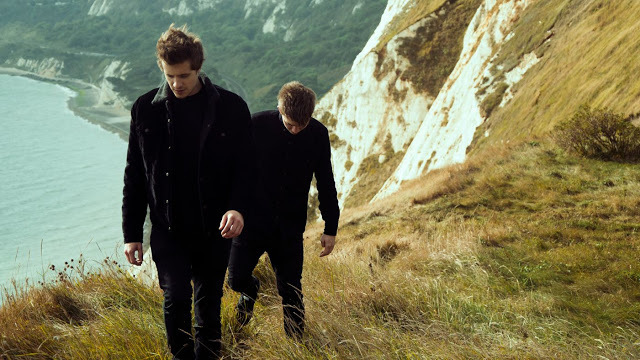 Aquilo release new live video for ‘Better Off Without You’ and announce upcoming shows. Aquilo know how to make great sad songs. You know, the kind of heart-aching, soul-stirring, beautifully melancholic melodies that make you happy to revel in your own misery because it means being able to continue hitting that replay button again and again..and again. In Greek Mythology, the word ‘Aquilo’ is said to translate to ‘North Wind’ and with each new release, the Lake-district duo continue to blow an aesthetically pleasing musical gale over their listeners. Yet, it is really their live performances which appear to stir up a heavier flurry of emotion. Following on from their previously released live video for the goose-bump inducing ‘Almost Over’, the boys have today released yet another stripped-back song from their five-track live EP, Midnight with ‘Better Off Without You’. With seamless delivery, Tom Higham’s impressively swooning vocals float effortlessly over the head-noddingly raw instrumentals of Ben Fletcher and Co., reminding us that a great band is able to make their live performances just as, if not more powerful than their studio recordings. Aquilo are indeed one such band. Thankfully, the boys have also unveiled a string of live headline dates that will begin in April, following their support slot with Oh Wonder and will see the duo play some of their biggest venues to date. Presale begins tomorrow morning at 9am. Sign up here for access. Aquilo’s Midnight EP is out now. Listen to ‘Better Off Without You’ below and if you haven’t already, check out the spine-tingling ‘Almost Over’, also below.